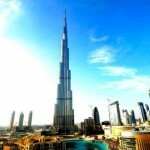 DEPA, the contractor behind the fit-out of the Burj Khalifa, will see 20 percent growth next year, a senior official at the company has said. “We are looking at 20 percent growth for next year and our margins are consistent,” DEPA managing director Noor Sweid told reporters on the sidelines of the MEED Capital Markets conference in Abu Dhabi on Monday. Sweid said that around 25 percent of the group’s business was based in Dubai. DEPA will not be tapping the debt markets, she added. “The Gulf is starting to come on-stream for us, because we’re at the end of the value chain in terms of construction,” Sweid said. The DEPA official said that growth in 2011 would be driven by Asia, the Middle East and north Africa. In terms of acquisitions, Sweid said these might be “further down the line now that we’re consolidating all the business that we have”. In terms of its work on the Burj Khalifa, Sweid said the full value of the contract had been paid in full and on time by Emaar, although the firm was pursuing a claim against Samsung, the primary contractor on the tower, as work took longer than expected. DEPA’s order backlog totals AED2.4bn ($0.7bn) – about 20 percent more than at the end of last year. DEPA now employs 10,000 and is active in 17 countries, including the UAE.